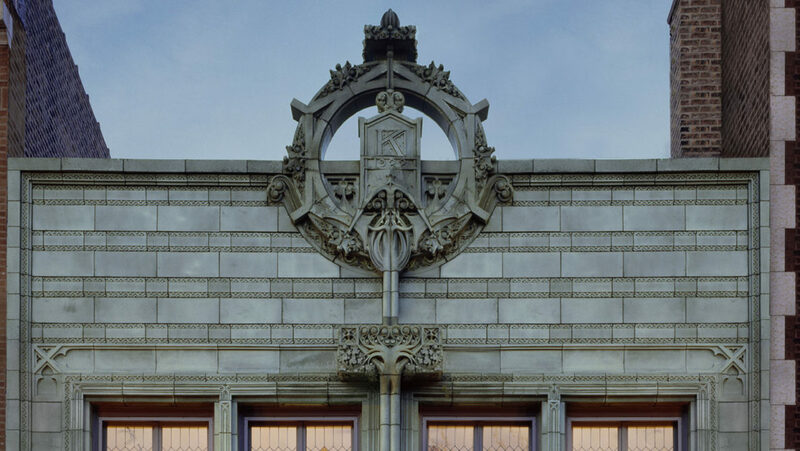 The elaborate terra-cotta facade of the Krause Music Store was designed by famed architect Louis Sullivan, who was asked to collaborate on the design by his former employee, William Presto. The facade design was Sullivan’s last project, and its extensively intricate, decorative ornament is indicative of his uniquely characteristic work. The current owner purchased the building and restored the terra cotta facade, the store-fronts, and the upper-floor leaded windows as part of an overall rehabilitation of the building. The Krause Music Store was designated a Chicago Landmark on September 28, 1977.